AutoHook was honored to attend the 2016 J.D. Power Automotive Marketing routable at the Bellagio, Las Vegas. From Tuesday, October 25th - Thursday, October 27th, we had the privilege of networking with some of the most brilliant leaders in our industry. Things can get a little chaotic between fast-paced sessions and panel discussions, meetings, parties, and catching up with all our friends, clients, and partners. We've taken the liberty to bring you the 10 very best, most memorable quotes of 2016 - straight from the mouths of automotive's smartest minds themselves. “Just because it can be counted, doesn’t mean it counts,” said Tom O’Regan, CEO of Madison Logic in a recent IAB study. “As you rise up the scale of performance measurement tactics, you find the increasing convergence of both attribution and value.” These are incredibly wise words to live by. There are dozens of performance metrics that we’re capable of tracking. But just because we can, doesn’t mean we should. We are deep inside the epicenter of the information age. With all this big data comes an overwhelming opportunity to derive knowledge and take action. Nothing, (not even money) is more powerful than knowledge. We have all this information literally at our fingertips, yet automotive marketers still struggle to validate which solutions delivered the highest ROI or led to a sale. Having this knowledge (and knowing what to do with it) will make everything we do moving forward make a lot more sense. Let’s dive into each problem and how we can diminish these issues as we plan for 2017. First, you need to know what to look for. It’s not just about obtaining more and more data. It’s what we can to do with the knowledge we extract from the data that ultimately matters. So many advertisers still fail to acknowledge that there is life beyond the click. The number of clicks a campaign generated or the number of unique users it sent to your website is a microscopic fraction of the full picture, and frankly, it's an irrelevant metric. In today’s world, clicks just don’t hold their weight. Clicks don’t prove conversion and clicks don’t move inventory. Furthermore, you could have the highest rate of website traffic in your market, but if your conversion rates are low, that “traffic” is just a number – which at the end of the day, means nothing. 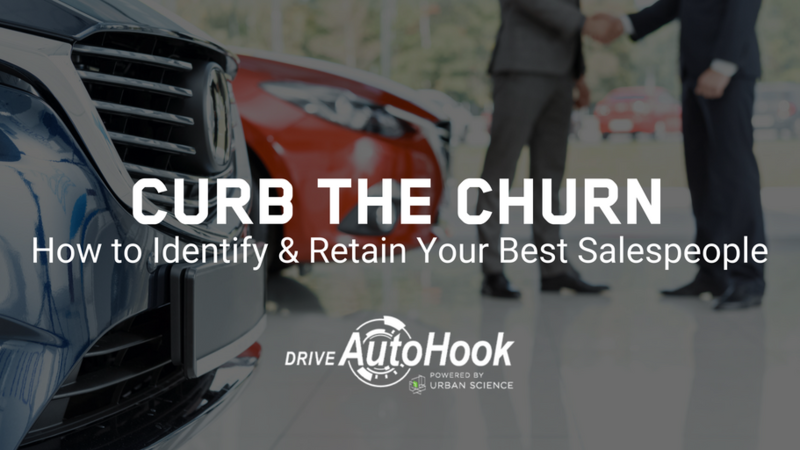 Access to this type of data is the most beneficial, as it gives dealers the freedom to stop guessing and start knowing what works – and like I said before, nothing is more powerful than knowledge. At what rate do their solutions convert? What is their showroom visit rate? How do these rates compare to industry averages? What is their method of tracking sales? Can they link a vehicle sold to a specific user or campaign? If they don’t have the validation stats to prove these things to you, they are not worth your time or money. No-nonsense data tells you how many showroom visitors purchased (either from you or a competitor) and what specifically drove them in. It can tell you if your buyers are repeat, loyal customers or if they’re new to your brand. Did they visit your store but end up purchasing somewhere else? What brand did they buy and why? These are the types of questions legitimate reporting should be able to answer. The goal is to spend less time compiling data and more time using it to uncover new growth opportunities. Aim for a single, unified and cohesive structure when it comes to analytics and reporting. Ask vendors if they allow other solutions to integrate with their dashboards or APIs? The more people you can get working together towards a common goal, the better your chances become of achieving that goal. It’s the “two heads are better than one” approach. An industry-wide holistic viewpoint must be adopted for all parties to benefit from both faster and more comprehensive data models. Also, choose to only work with the players that have near real-time reporting capabilities. With each day that passes after a purchase is made, that sales data becomes less and less valuable. What good are insights that remain unseen? The faster we can access sales data, the more we can do with it to extend our finite budgets. Integrated, cross-channel and cross-device attribution reporting is essential to following the consumer’s buying path. These capabilities illuminate trends in the purchase cycle and allow dealers to make more lucrative decisions with their ad dollars. Behavior across mobile, desktop, and online and offline channels all need to be considered to get a complete, accurate view of the attribution path. Knowing which solutions are working for your dealership is the key to correcting all your big data problems. Use attribution data to build predictive models that identify trends or patterns in purchase behavior. Pragmatic data can tell you which vehicles to keep in stock, how many of each model, and in which colors. It can tell you how to better allocate every dollar so you can rest assured your money is being spent in the right places. Remember that useful automotive data is largely derived from the two most important KPIs: conversions and sales. The focus of your reporting should include data that shows a complete attribution path from an advertising source to a sale. These roadblocks need to be obliterated in order to reverse the rate in which we’re inundated with useless, irrelevant information. The time has come where we’re capable of maximizing revenue across all marketing initiatives. It’s time to show big data who’s boss! If we work together, we can close gaps in communication and better track consumer actions throughout the purchase cycle for the benefit of all.